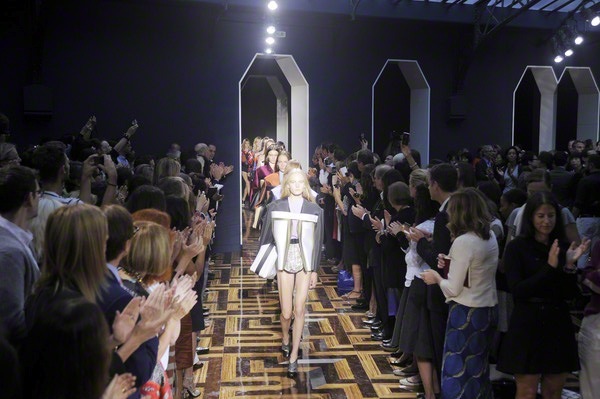 It must be so embarrassing when you invite the creme de la creme of the fashionworld at your show and the benches you arranged crash while they are seated. 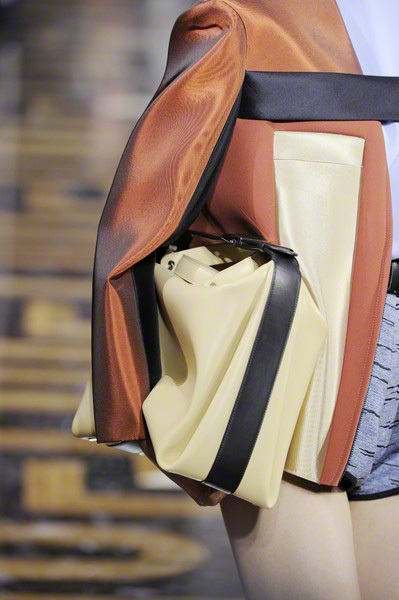 It happened at Balenciaga this morning. 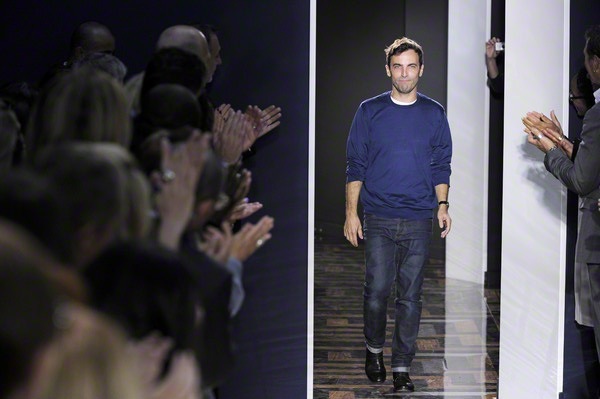 And for the first time even that fashion-elite had to stand during the show.Luckily for Balenciaga and designer Nicolas Ghesquiere the clothes mad the audience forget they were feel uncomfortable. 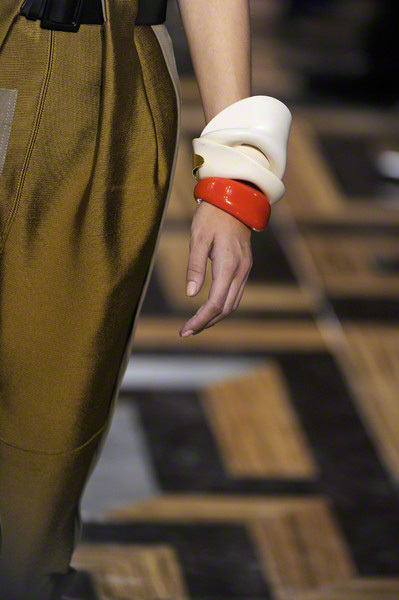 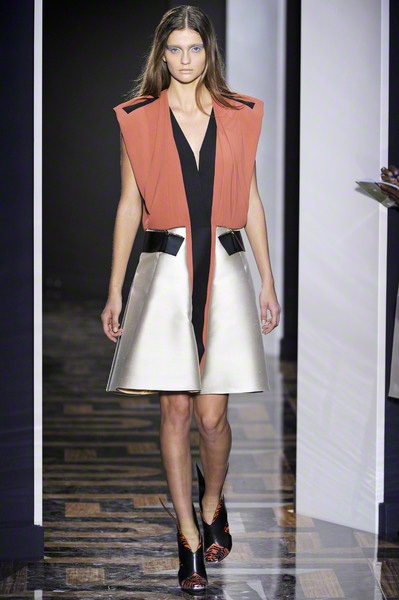 The collection was about volume and structure. 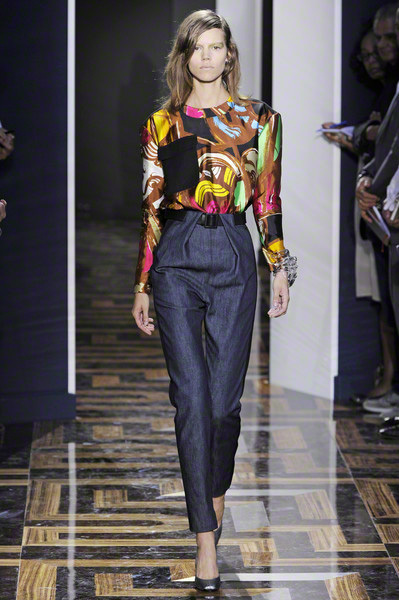 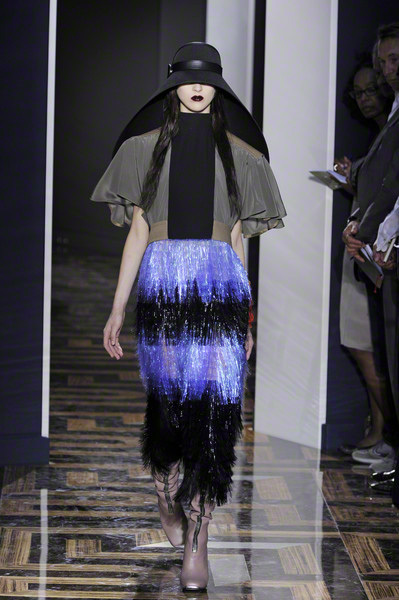 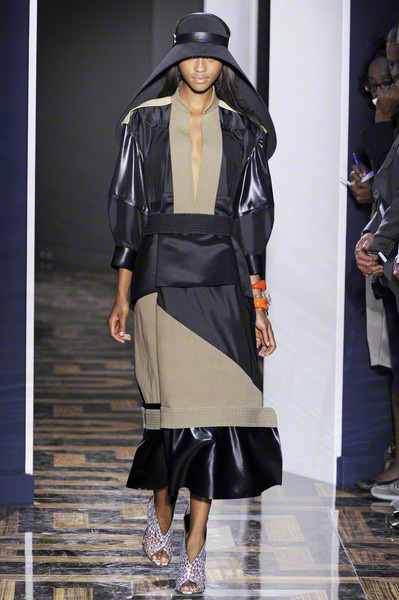 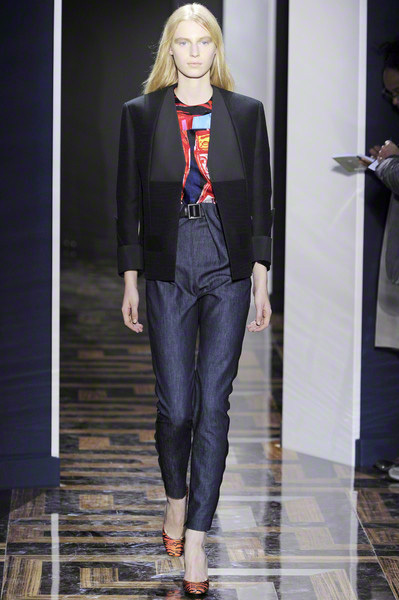 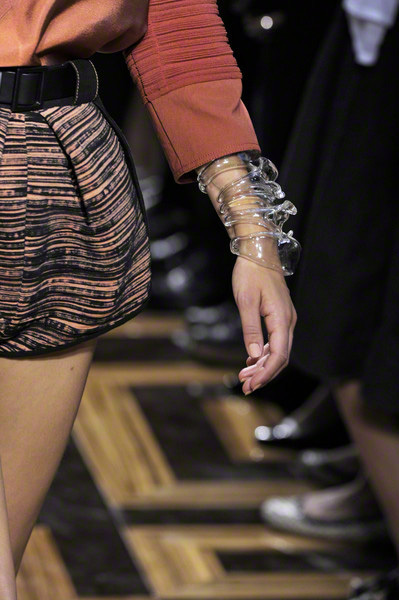 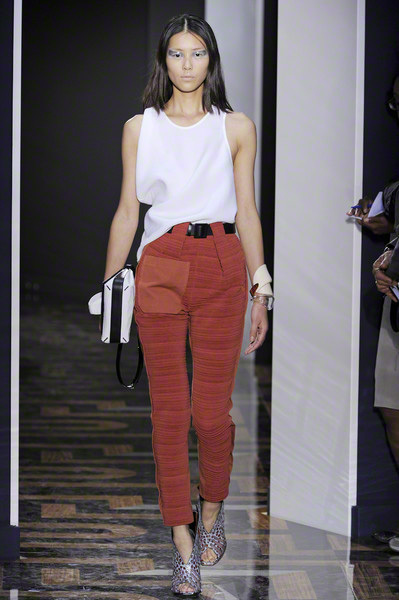 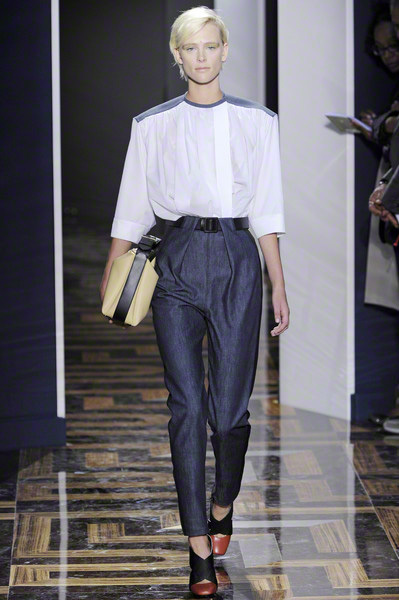 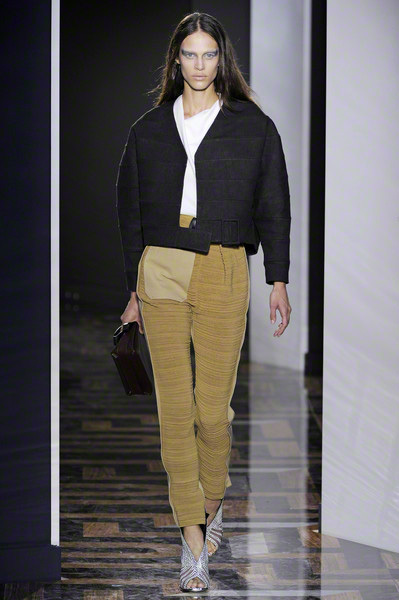 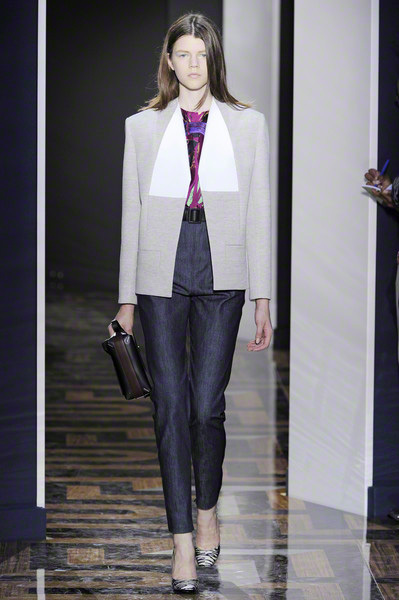 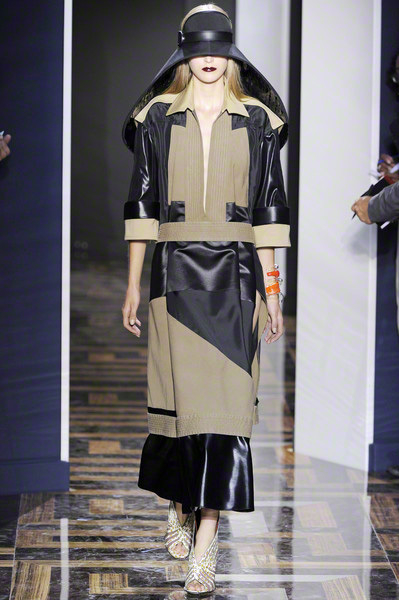 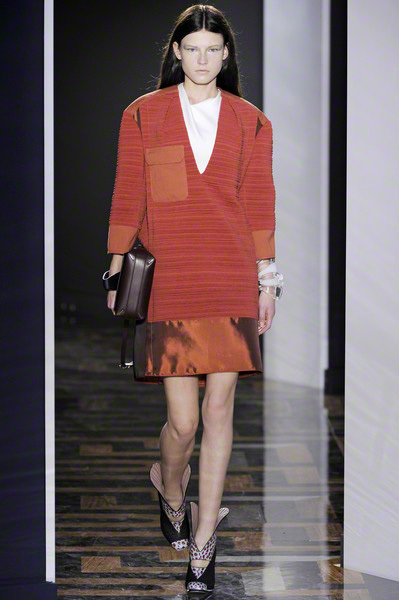 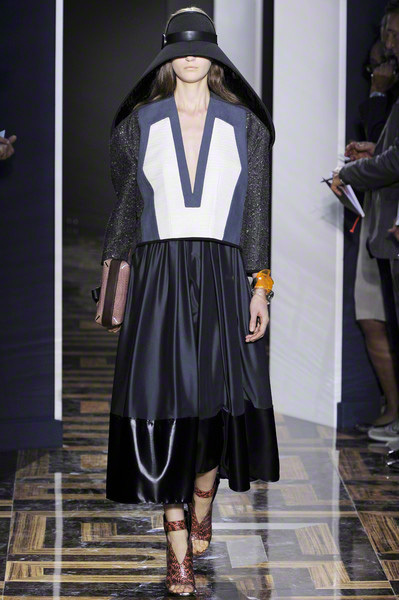 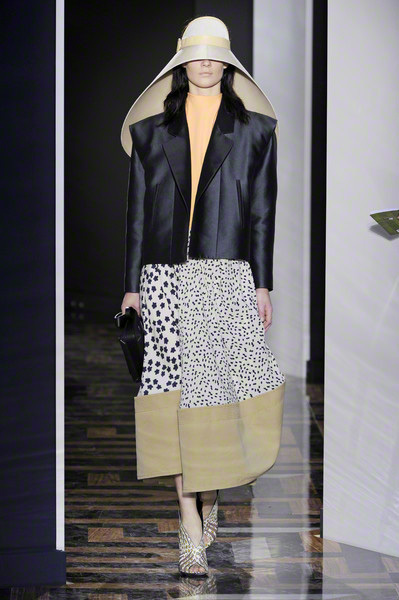 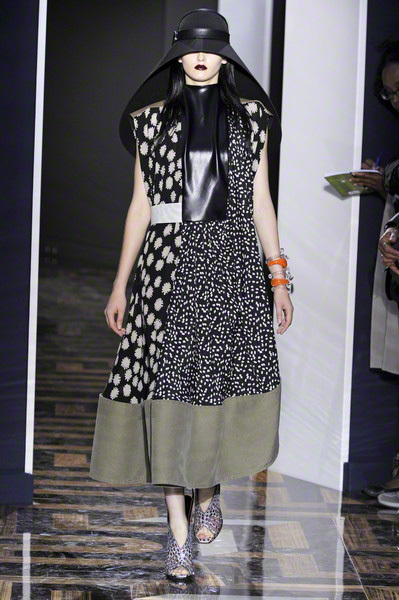 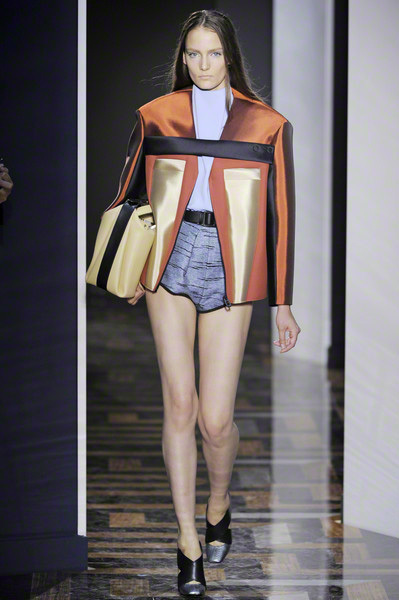 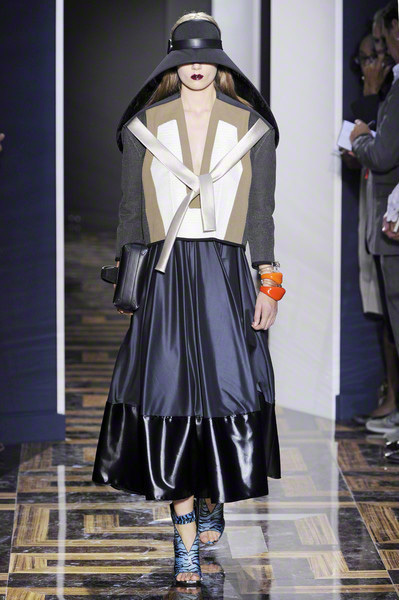 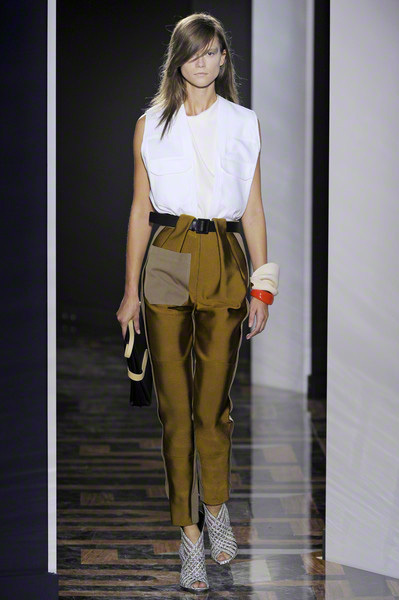 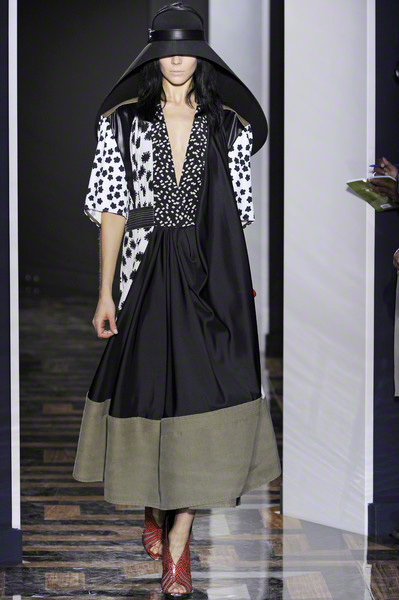 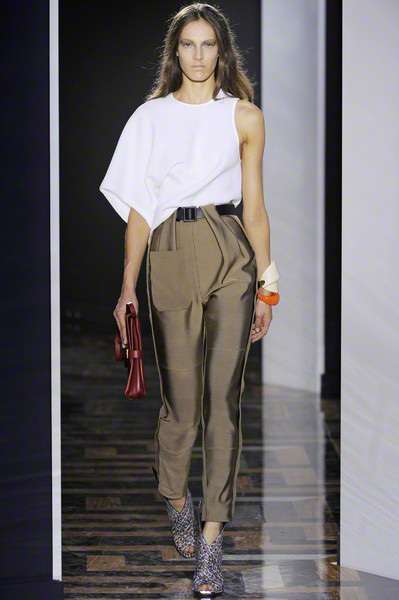 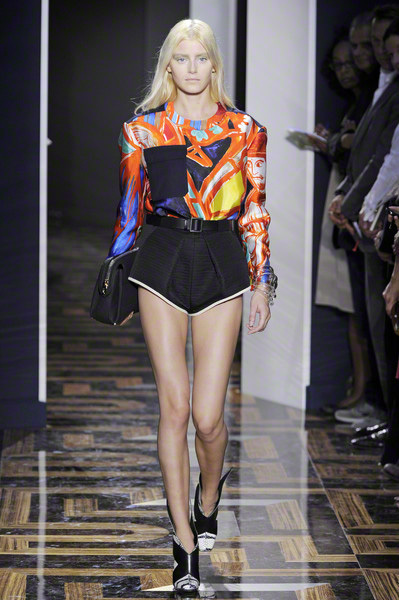 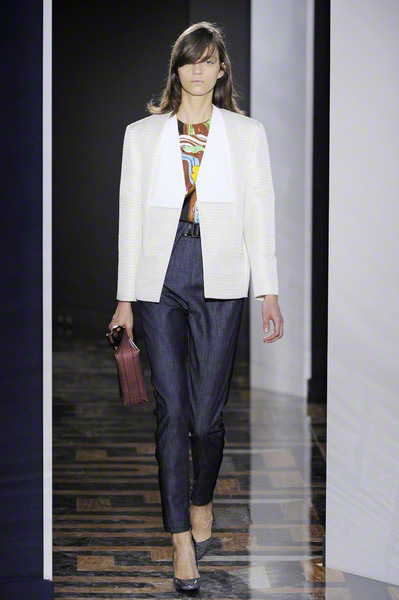 Oversize was Ghesquiere next big theme this season, trying to discover how body and ultra light fabric work together. 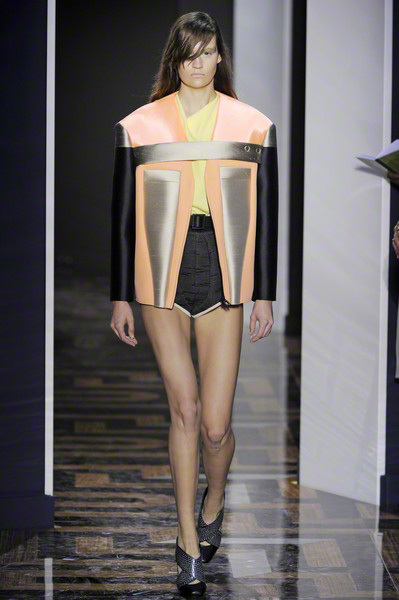 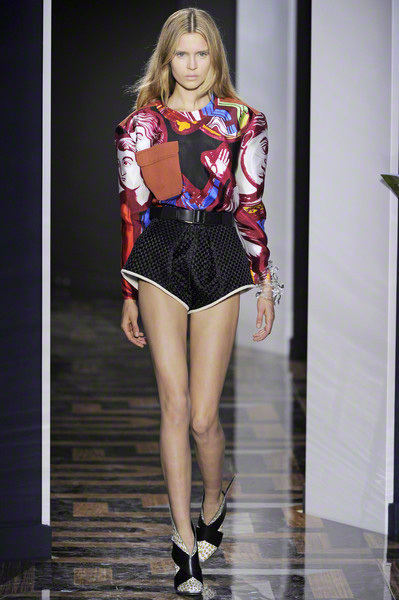 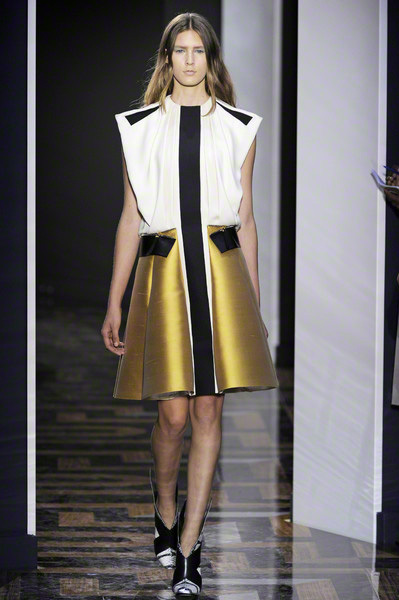 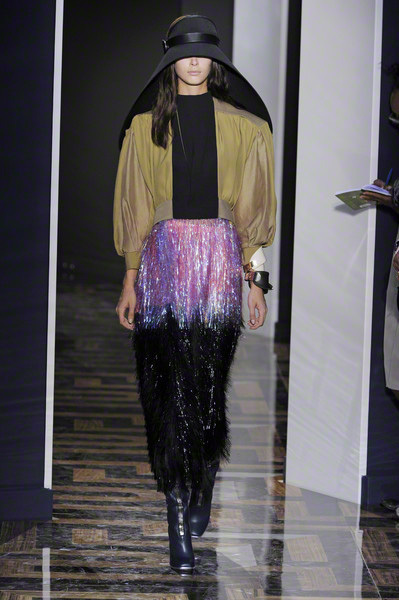 There were high-shine, round-shouldered jackets light as air, which came in graphic color plays over wide but otherwise tiny shorts. 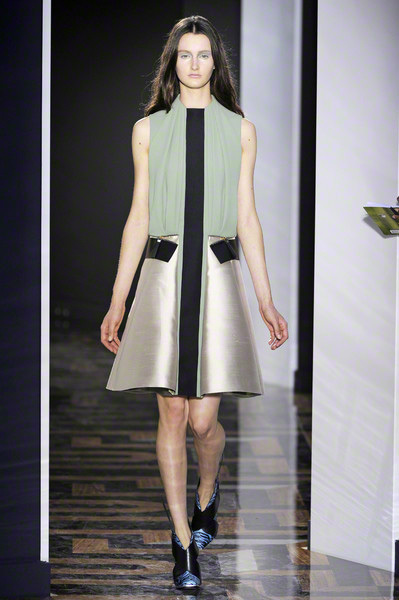 The dresses were impressive , whether in ottoman knits in simple T-shirt shapes or complicated fabric collages.